When I pulled my Jeep into the Clay Arsenal neighborhood in Hartford, Connecticut, in July, I knew intuitively that I had arrived by the sights of neglect: Beautifully crafted brick homes in varying stages of decay. Boarded up buildings. A feeling of isolation in an otherwise bustling city. I had driven 1,100 miles from southern Illinois for an appointment with Josh Serrano. He was among a handful of tenants who had led a monthslong campaign to implore the city and the U.S. Department of Housing and Urban Development to take action against an absentee landlord over poor conditions. I wanted to meet Serrano because I had covered poor living conditions and seeming federal indifference in places like the Illinois cities of Cairo and East St. Louis, in my region, and he was optimistic that by speaking with one voice, a community could achieve change. I recognized Serrano’s neighborhood from online photographs. It’s what journalists would call “distressed,” a catchall word that quickly and diplomatically describes many of the places I visited this year while reporting on the affordable housing challenges facing economically struggling rural towns and midsize cities for The Southern Illinoisan, and supported by ProPublica’s Local Reporting Network. But the word distressed, as one might also describe a favorite leather jacket or piece of reclaimed furniture, has never felt like a strong enough descriptor for the virus of political indifference that plagues these places and the people who call them home. Forget the rural-urban divide. Places like Serrano’s neighborhood in Hartford and the southern Illinois region I call home are connected by a resource gap as much as or more than we are divided by geographic boundaries. Few issues make that more apparent than the nation’s affordable housing crisis. I knocked on Serrano’s door and he led a photographer and me upstairs. Serrano is 26 years old. He’s lived in this neighborhood his entire life. Before he was born, his mother moved to Hartford from Puerto Rico with his two older brothers, searching for opportunity. About 13 years ago, Serrano said his mom moved the family into a federally subsidized property, where she raised him, his brothers and four foster siblings who are cousins. It was fine at first, he said, but complaints about safety concerns went unaddressed in more recent years. A number of tenants, including his mom, were afraid to speak out because they feared losing their homes and ending up in a worse predicament, he said. Finally, Serrano said he’d had enough. 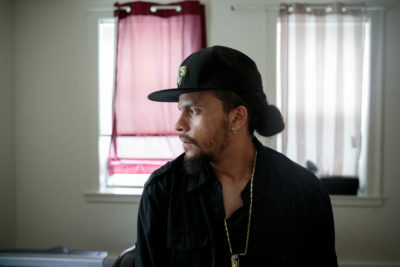 Around his kitchen table, Serrano told me how he and a half-dozen of his neighbors met for hours each week over the course of months studying HUD policies, canvassing their neighborhood to gather feedback from other renters and pushing for accountability as the rats multiplied and the mold grew inside their homes. Eventually, the tenants won action from HUD. In May, the agency announced that it was ending its contract with Serrano’s landlord, and that he and the 150 families living in his building and others would receive vouchers to subsidize their rent in the private market. But it’s hard to celebrate the dismantling of a neighborhood and the loss of affordable housing, even if that’s the best of bad options. 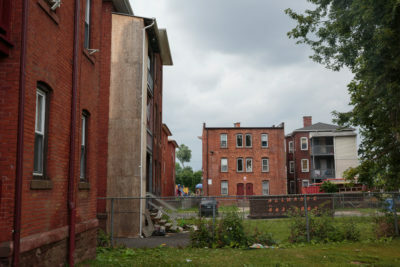 There is a shortage of subsidized four- and five- bedroom units in Hartford, the state capital, making it challenging for some larger families to find alternative rentals that will accept their vouchers, commonly known as Section 8, in the neighborhoods where they want to live. At the start of the year, my goal was to explore HUD’s failure to enforce legal standards for decent, safe, sanitary housing in apartments subsidized by federal tax dollars, particularly in regions like mine that modern-day HUD policy seems to have left behind. I visited Evansville, Indiana; Wellston, Missouri; Steubenville, Ohio; Peoria, Illinois; and Hudson, New York, and found that they are all dealing with similar challenges. What started as a simple premise brought to light much greater challenges. 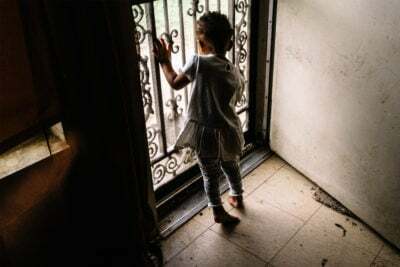 HUD’s oversight failures are profound, and they have left thousands of children and their families, seniors and people with disabilities living in unsafe housing for years. As landlords have slapped paint over mold, cardboard over holes, and hid problems behind walls and “Do Not Enter” signs, the agency has often looked the other way. But these failures are symptomatic of much broader problems. To some extent, HUD has been put in an impossible position, starved for years by congressional budget cuts and lacking adequate staffing levels to monitor public and private landlords. Republicans have spent years eviscerating HUD, beginning with the Reagan administration and accelerating after the GOP won control of Congress in 1994, promising to rein in spending on social welfare programs. Chronic underfunding has persisted since then, especially for programs that fund public housing authorities. More recently, some have blamed HUD Secretary Ben Carson, trained as a neurosurgeon, as problems deepened, and his administration has done little to dislodge the inertia. But few Democratic politicians have publicly championed public housing or prioritized HUD either. As buildings age, HUD is increasingly looking to the private sector to fund a backlog of repairs and to provide new affordable units, and the agency has offered few solutions to those places that cannot attract private landlords to replace what’s being lost to neglect. These policies are based on the belief that housing should follow the economy, thereby encouraging low-income families to move into areas with more opportunities for jobs and education. While that makes for a great political pitch, it infrequently plays out that way in reality. The shortcomings of this push toward privatization are felt most in struggling rural towns and midsize cities — the places that rely the most heavily on HUD. This allows old, unsafe housing to deteriorate beyond the point of repair. In the midst of a nationwide affordable housing crisis, the agency is sometimes forced to choose between looking the other way despite knowledge of unsafe conditions or forcing tenants to leave and find their way in a tight housing market with few better alternatives. This has paralyzed HUD, forcing agency officials to run from one embarrassing oversight failure to the next instead of creating systems and policies that proactively improve access to affordable housing. 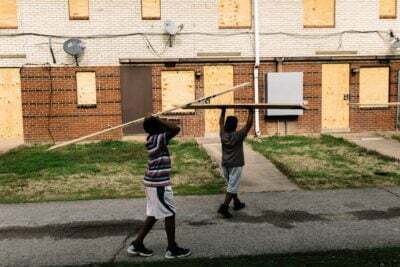 Just last month, HUD told city officials in Wellston that it planned to dissolve the housing authority on Jan. 1, and then demolish or sell all of its public housing units. Nearly a fifth of Wellston’s 2,300 citizens live in public housing. Behind closed doors, a senior HUD official told Wellston’s council members that it was a tough decision to make, but that the federal government isn’t investing in public housing like it once did. But unfairness implies some sort of bad luck beyond one’s circumstances, like a person who has never smoked but is diagnosed with lung cancer. The housing challenges in evidence today are solvable, advocates say, and ignoring them amounts to injustice. As my year working with ProPublica draws to a close, I’m left with more questions than answers. 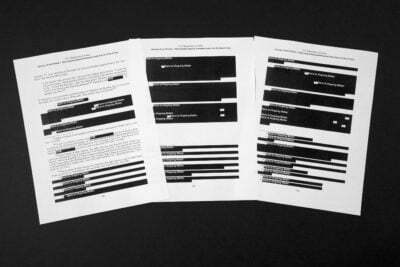 Among them: Why will HUD officials only acknowledge what’s happening to their agency and the people they serve behind closed doors? Why are so few people aware that the dismantling of HUD over many years is having a devastating effect on communities? When will politicians stop pretending they are surprised and outraged by massive housing failures from Cairo to New York after decades of funding and staff cuts and indifference? As I left Hartford, I wondered what would become of Serrano and his neighborhood. Several months later, Serrano told me by phone that he’d found another place nearby. He started working part time for the neighborhood advocacy organization that helped him and the other tenants organize, and he hopes to be able to pass on what he learned to others in similar situations.